Autocares Hnos. 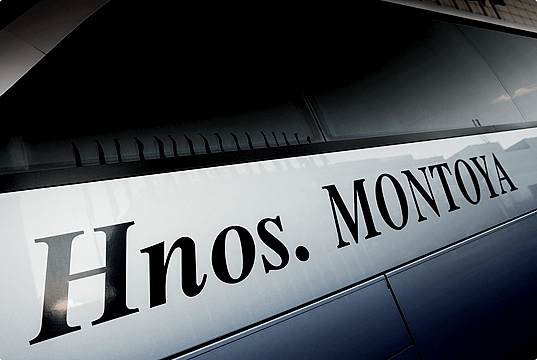 Montoya has a large fleet of vehicles adapted to meet specific needs of special transportation, children and youth. 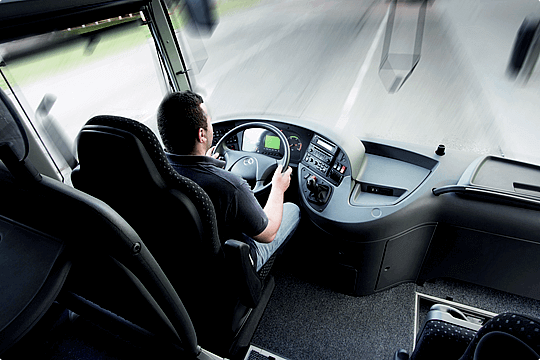 Como bus rental company, we understand our work as a vocation of service to people, so from our inception we pay attention to all groups that may need a transport service. We believe in innovation and continuous improvement and thanks to the daily effort of all those who are now and those who were, we have managed to be one of the companies in Spain that offers the greatest variety of services to its clients. We therefore have a high degree of specialization in transport areas such as school, business, sports, culture, leisure, tourism, elderly, disabled and artists and musical groups. Our clients include prestigious entities, as well as the most relevant artists and groups that has given the national and international music of the last 30 years. Welcome to Hnos. Montoya. 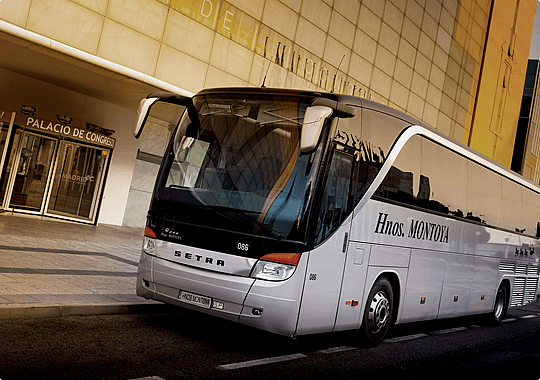 One of the main bus rental companies in Madrid. Hnos. Montoya was founded in 1966 by Dionisio Montoya del Amo. We understand our work as a vocation of service to people, so from our inception we pay attention to all groups that may need a transport service. We believe in innovation and continuous improvement and thanks to the daily effort of all those who are now and those who were, we have managed to be one of the companies in Spain that offers the greatest variety of services to its clients. We therefore have a high degree of specialization in transport areas such as school, business, sports, culture, leisure, tourism, elderly, disabled and artists and musical groups. Our clients include prestigious entities, as well as the most relevant artists and groups that has given the national and international music of the last 30 years. Safety is our most important value and is the one in which we invest the most, both in technology and in human capital. We work with responsibility in the social aspect collaborating to the sustainable development and with our clients through our commitment for the punctuality and the formality in the realization of our services. We seek excellence to improve the quality of our work every day and achieve the full satisfaction of our customers. These three values ​​are represented in our logo, with the three horses that serve as the engine to make our diligence move. More than 40 years of work endorse us as one of the reference companies in child and youth transport. Our drivers are selected based on their professional trajectory and the vehicles chosen to measure to meet the individual needs of each client. As a result of our experience in the sector, we design tailor-made products specifically for schools and teaching centers, with a high contribution of value for our clients. To guarantee that you will never stop delivering a service, Hnos. Montoya has more than 70 vehicles, and 200 additional vehicles from collaborating companies. Safety is our most important value. We invest in security measures for our vehicles, create rigorous maintenance plans and constantly strive for personnel selection and training. All our coaches are equipped with safety belts.